In a recent blog, I wrote about the book Wide as the Waters, by Benson Bobrick. The subtitle of the book “The story of the English Bible and the revolution it inspired”, captures my conclusion. Translating the Bible into the language of the common man can change political systems, free people from oppression and give people a new way of looking at the world. It does much more than help them in their spiritual lives. Many participants to the focus group discussions gave testimonies of how that self confidence had transformed their lives both at home and in public to enable them undertake activities that they would otherwise have not. I suspect that the phrase “and in public” means that those who attended literacy classes were more likely to try to make changes in their communities to make them more righteous. Of course, those in the literacy program also read their Bibles. We have many testimonies of faith in Christ and a deeper walk with him as a result. But what interests me here is the literacy program, in the vernacular languages, resulted in societal changes, not just narrowly “religious” and personal changes. This too matches Bobrick’s observations about the impact of the translation of the Bible into English. Allow me to chide my brothers and sisters in faith who see mission only as personal, spiritual salvation – who seem to be interested solely in how many people put their faith in Christ. God’s action in history shows that it also brings wider changes in society and in politics. God, it seems, has given us his Word not just for personal consolation and faith, but to change this world in ways that match the coming of his Kingdom. I’m in Bible translation because I want marginalized people to have a personal experience of God’s grace and then live in transformed societies that give them opportunity, recognize their value, and make their lives more peaceful, meaningful and productive. The Ghanaian organization Dayle and I work with is celebrating its 50th anniversary. As in many African countries, on such occasions an organization will have special cloth made and sell it. I explain that more in my blog on [get title and reference]. Anyway, here is the 50th anniversary cloth. Of course, along with other staff Dayle and I enthusiastically had outfits made of the cloth. I was pondering what to have made – a long sleeved shirt, short sleeved, or something else when I saw the chairman of the board in his outfit (see photo). Then a couple days later at church I saw a man in something with different cloth but the same design, but his had cufflinks. I could not remember ever seeing cufflinks on that kind of outfit. But over the next few days I saw several. I had not worn cufflinks for years, so I decided that I would do it. We found a tailor (they are not expensive here), and commissioned my outfit. The tailor himself was wearing an outfit in the same style, also with cufflinks. We found a set of inexpensive cufflinks and I was ready to go. My next trip was to the town of Kete-Krachi near Lake Volta. We left very early in the morning and did not arrive until after dark. The last 60 miles or so were on a very bad, dirt road. We bumped and jostled our way there at about 25 miles per hour. It seemed interminable. Anything but a serious 4×4 would be beaten to death in no time on that road. We were there for the dedication of the very first Scripture ever published in the Kaakye language – the Gospel of Mark. Of course, I took my new outfit, and all my colleagues would be wearing their anniversary cloth too. The next day I was getting dressed for the event when I discovered that I had made a serious mistake. I had forgotten the cufflinks! Kete-Krachi is a smaller town with not much of a shopping district. I thought that I would have to wear something else and all of my colleagues would be in their 50th anniversary cloth. No one in the delegation had a pair of cufflinks with them, nor did any of the Kaakye translators, with whom we had breakfast. On a lark, we drove down the main road glancing at the shops. There weren’t many and it would not take long. My colleague, Naana Nkrumah, said “Stop! Stop! That one!” I got out and walked over to the little shop to see a glass and wood display box in which were placed about 20 pairs of cufflinks! Not only would I get cufflinks, I would have to spend a little time choosing among various designs. I bought a pair for about $3, was rescued from my error, and was able to celebrate the event in the proper attire. 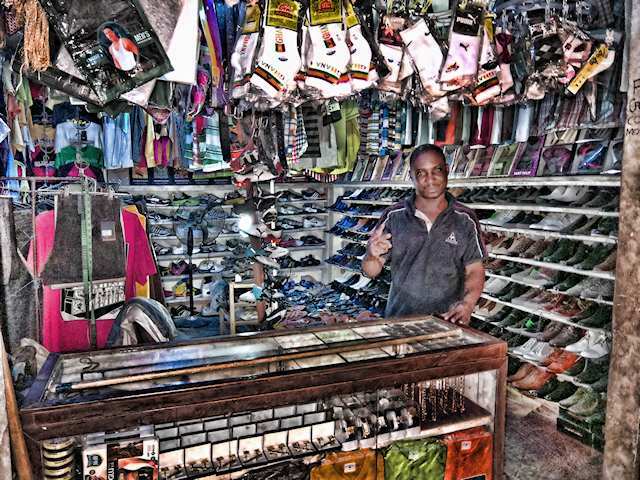 Cufflinks in Kete-Krachi — who would have guessed. This is coffee break at the GILLBT* Center in Tamale. The staff get coffee or tea (mostly the later) inside. They then forgo the tables and chairs inside to sit outside on the foundation and sidewalk to talk. Mind you, these are not gardeners or simple laborers. There are a number of BAs and even MAs in this group. But they have no complexes about doing things their Ghanaian way. 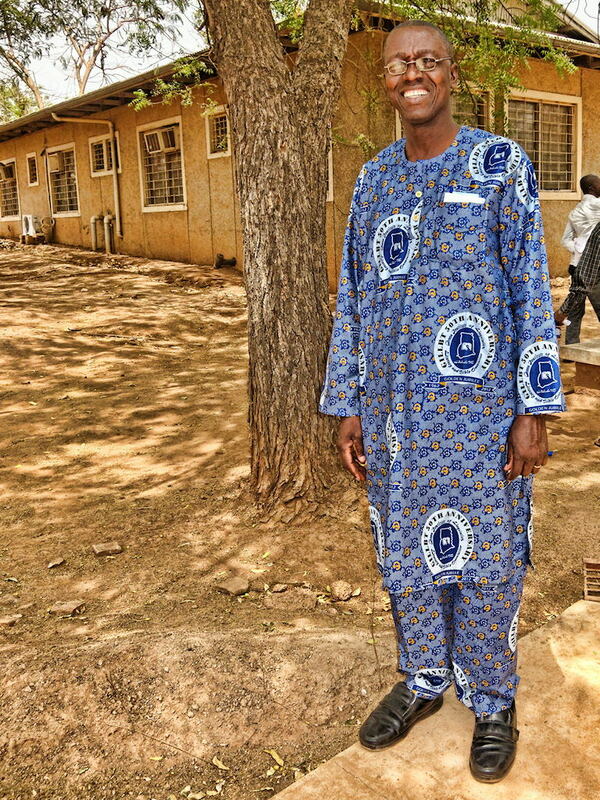 Some even wear traditional Ghanaian clothes. One of the first things I learned about Africa is that people here live outside. Houses are for sleeping, storing stuff, and taking shelter from rain. Our neighbors in Ouagadougou would bring their chairs out to the edge of the street in front of their houses to sit, talk and gab with passer’s by. A lot like small town America used to be, but in that case people sat on their porches. “Her husband is known in the gates when he sits among the elders of the land.” (Proverbs 31:23 English Standard Version). This and many other cultural similarities made the Old Testament popular among Africa Christians. My wife must be a very virtuous woman because at coffee break in Tamale, her husband is known at the door of the GILLBT “Cantina” when he sits among the senior staff. If you want to know more, see our website, subscribe to this blog, talk with us on Facebook, or sign up to support us through prayer or financial support. 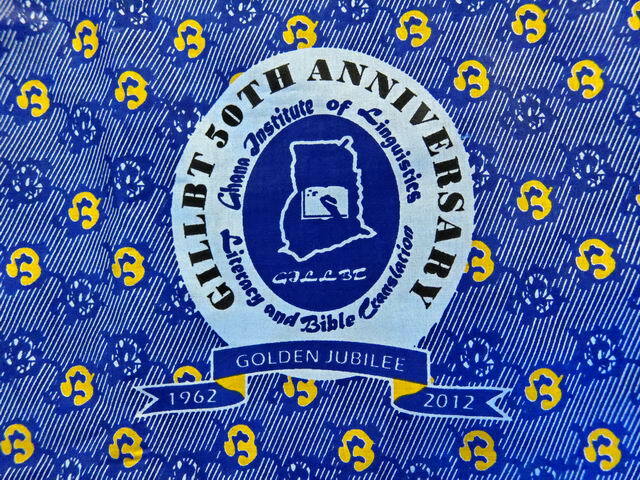 *GILLBT, for Ghana Institute of Linguistics, Literacy and Bible Translation. 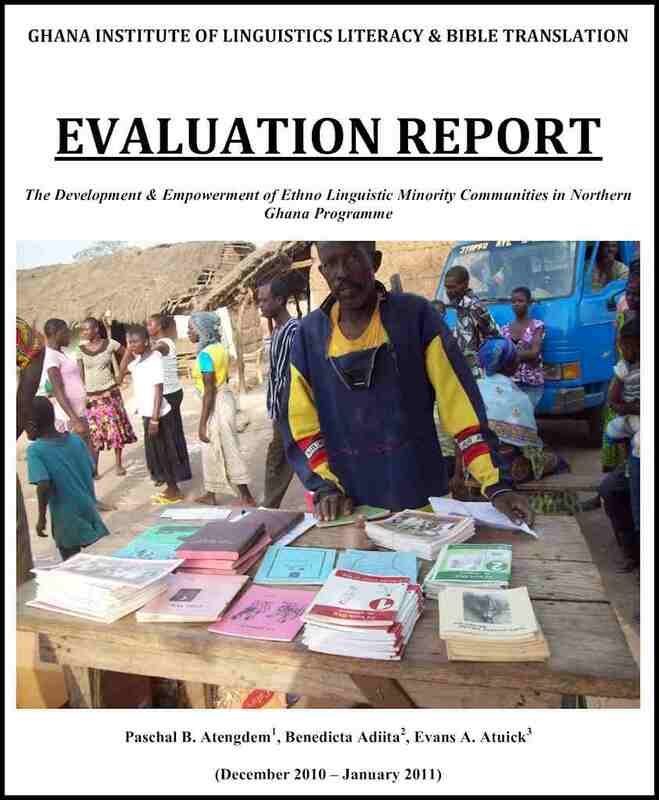 A Ghanaian organization doing just was its name says: Linguistics, Literacy, Bible translation in the languages of Ghana. 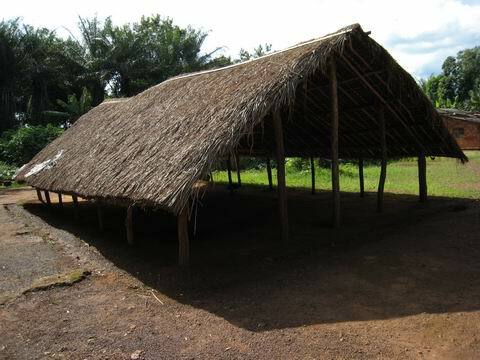 It has translated the Bible into more Ghana languages than any other organization, in addition to making over 500,000 literate through its literacy programs. Dayle and I are assigned to it to help with planning and mobilizing more resources from within Ghana (Ed) and managing a Guest House (Dayle). When Dayle and I attended the annual meeting of the national organization we are loaned to, we were witnesses to a part of it called “Fraternal Greetings”. Churches and organizations can send representatives to the meeting. Near the beginning they are each given the opportunity to bring “fraternal greetings”. In 2010, when I attended without Dayle, it was one of the best parts of the program. This year was not quite as dramatic, but inspiring nevertheless. Here are some of the fraternal greetings brought by churches and Christian organizations. Mind you, these impacts took decades of hard work and sacrifice. Many of those involved were no longer around when the results started coming in. Some of those who gave financial support and prayed won’t know about the results in this life. I was reminded to stick to it (persevere in biblical terms), to look for a long-term and solid payout, and to remember that God brings results we don’t ever see. In July, I attended the annual meeting of GILLBT which a number of church leaders also attended. 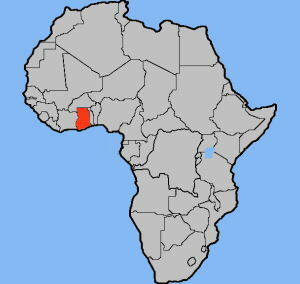 The man responsible for the Presbyterian Church in the north of Ghana told me that out of GILLBT’s work his church has six ordained ministers and over 50 catechists. He also told me that people read the Bibles in their languages and it enables them to follow Christ. Another pastor from one of the most dynamic and self-supporting churches in Ghana (The Church of Pentecost) said that the challenge in Ghana is to make the Gospel real to people. He went on to say that because of the work GILLBT his church was able to preach the Gospel into the local culture and make it real. Yet another addressed the assembly and said: “You know my people – that we used to wear amulets and talismans for protections.” He went on to say that people thought those things were absolutely necessary. Today, he said, the talismans and amulets are gone. “They have been replaced by the Word of God in our hearts.” He said that can only happen when God’s Word is in the local language. 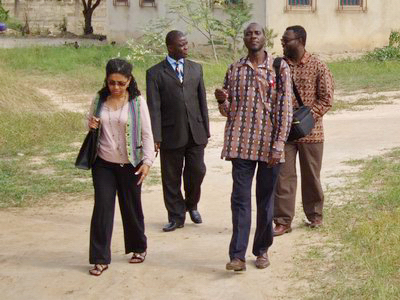 While I lived in Ouagadougou, I met a man who was doing research on the church in Ghana. He and his fellow researchers had collected information about all the churches in every city, town, village and hamlet in Ghana. He told me that GILLBT’s work was the most effective rural church planting program in Ghana because everywhere GILLBT started work, churches followed whereas before there had been none. Interestingly, GILLBT does not do church planting, but Bible translation and literacy. Out of that churches grow without anyone in GILLBT starting them. So, if you have ever wondered if Bible translation in African languages is worth the trouble, just look at what has happened in Ghana. GILLBT fell on hard times a couple of years ago. It has taken very effective steps to get back on track. They have named a new and dynamic director (for whom the board is praying in the photo, Dr. Sule-Saa in the back.). I am coming into that process when it is quite advanced to help plot a course forward. It is quite humbling and daunting, but it also a wonderful thing to be associated with an organization which has had such great impact. I am really looking forward to making several trips to Ghana over the next year, perhaps longer and working by email and Skype with the GILLBT leadership. 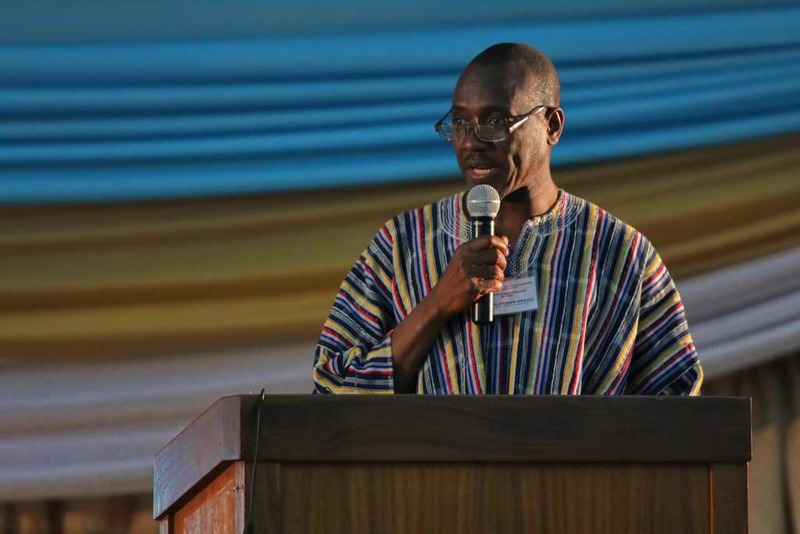 I have been doing some consulting for an organization in Ghana doing Bible translation – the Ghana Institute of Linguistics, Literacy and Bible Translation (GILLBT). One of the amazing stories I have encountered is that of Paa Willie. Paa Willie is the affectionate title of respect that all Ghanaians give to William Ofori-Atta. In the 1950s, Paa Willie was a leader in the independence movement in Ghana when it was a British colony. Along with five others, he was arrested and imprisoned by the British. Their arrest made them popular heroes. Even today they are known throughout Ghana as the Big Six. Paa Willie is the third from the right in this photo of the Big Six. 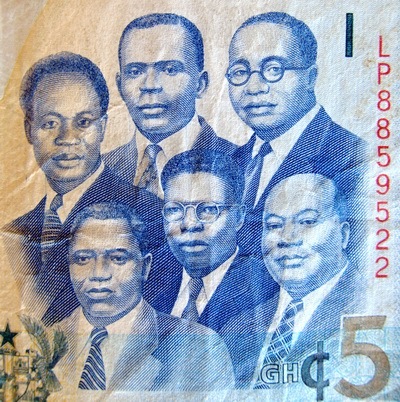 The faces of the Big Six including that of Paa Willie (upper right) are on all Ghana money. Paa Willie was more than a political figure. He founded a church in Accra out of which came the first generation of influential educated Christians in Ghana. He and they believed that true faith and the Ghana’s development depended on all Ghanaians having God’s Word in their heart language. So, along with others, Paa Willie also founded GILLBT. In Paa Willie, GILLBT has a tremendous heritage – the equivalent of an American organization having Benjamin Franklin as one of its founders. But he did much more than sign founding documents. He gave himself in practical ways. When the missionaries working in the languages in rural areas came to Accra he had them in his home for food, relaxation and fellowship. He took an active interest in the work of Bible translation, asking questions and making suggestions. Some may put missionaries on a pedestal. But all successful work springs from its committed supporters. 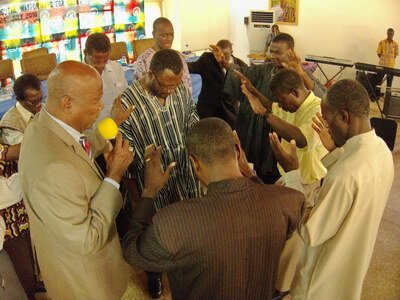 In heaven, Ghanaians will loudly bless Paa Willie for their political independence. But their thankfulness to him for the freedom they got through reading the Bible in the 32 (and still counting) Ghanaian languages which GILLBT has translated will be so much louder and happier and longer. I am looking forward to lending my own hands to the applause. For more about the transformational capacity of the Heart Language which Paa Willie thought foundational to faith and Ghana’s development see www.HeartLanguage.org.